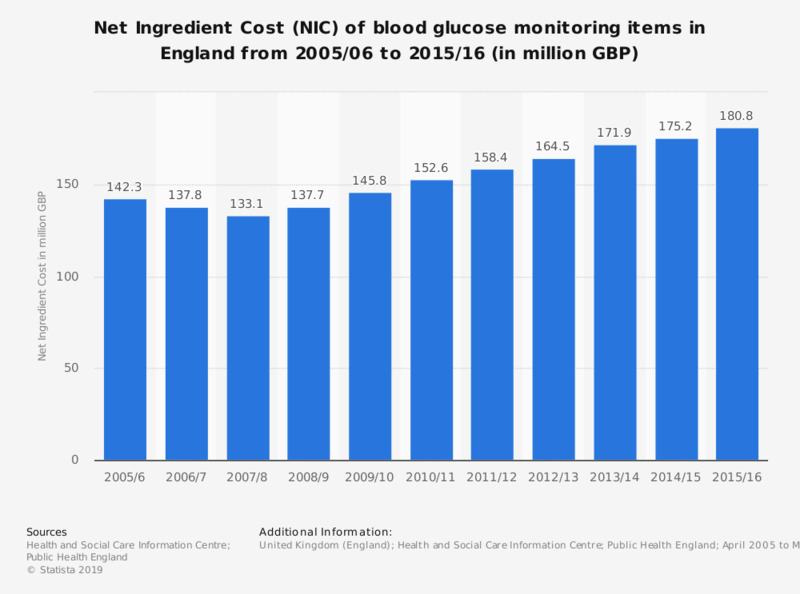 This statistic displays the net ingredient cost (NIC) for blood glucose monitoring agents and devices in England from 2005/06 to 2015/16. The net ingredient cost has steadily increased from 2005 to 180.8 million British pounds in 2015/16. Everything On "Diabetes in the United Kingdom (UK)" in One Document: Edited and Divided into Handy Chapters. Including Detailed References.